KardasLarson, a Glastonbury-based HR consulting firm, recently celebrated its 15th year anniversary. The firm was founded by Carol Kardas and Margot Larson, to provide both tactical and strategic HR solutions to small to mid-size businesses, municipalities, and non-profit organizations. 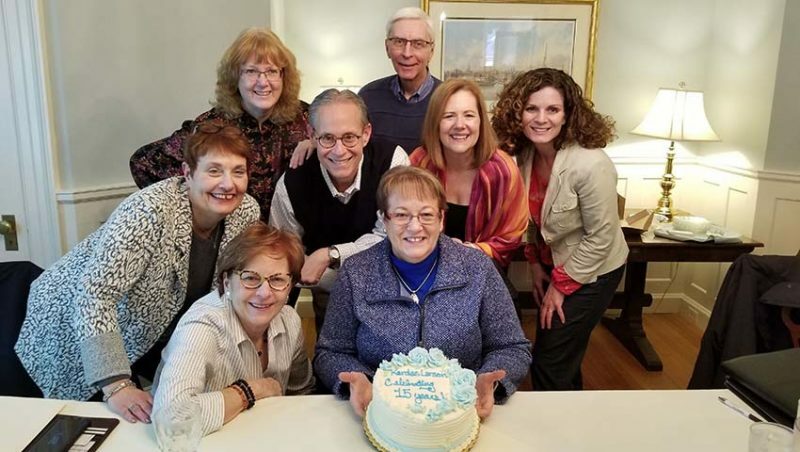 Carol Kardas, founding partner, added, “When Margot and I started KardasLarson, our focus was to provide top tier HR services to our client base. As the years progressed, we attracted HR professionals who shared our vision, and wanted to join our team. It brings me immense joy knowing that clients we worked with in the beginning, are still our clients today.” Co-founder Margot Larson passed away in February 2016 after fighting cancer. So happy that you are doing so well!! Margot would be so pleased. Happy Anniversary and All best wishes for continued success. Diane Dawson-Brown-All the best PEOPLE.